Happy #GlobalHandwashingDay from the Global Health Bureau and Economic Growth, Education, and Environment Bureau at USAID! Now in its 8th year, Global Handwashing Day is celebrated every October 15 to increase awareness and understanding about the importance of handwashing with soap as an easy, effective, and affordable way to prevent diseases and save lives. Each year, the number of people and organizations celebrating this day grows, and there are now more than 200 million people participating in celebrations in over 100 countries across the globe. Although many people around the world clean their hands with water, the use of soap is also necessary to more effectively prevent disease. Handwashing with soap could prevent about 1 out of every 3 episodes of diarrheal illnesses and almost 1 out of 6 episodes of respiratory infections like pneumonia. USAID’s life-saving water, sanitation and hygiene (WASH) programs and other development activities promote adoption of handwashing and other hygiene practices as an important element of improved health and nutrition programs. Learn about USAID water, sanitation, and hygiene programs. Find out about Global Handwashing Day and ways to participate. 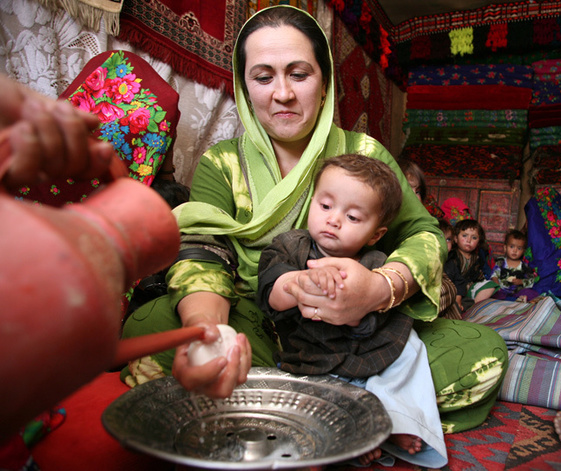 View a photo slideshow of USAID's work to promote handwashing worldwide. Learn about USAID's maternal and child health work.